New Orleans R&B legend Allen Toussaint has died at the age of 77, Spanish authorities have announced. Allen Toussaint was known for songs like Working In The Coalmine, Southern Nights and Fortune Teller. The musician a heart attack shortly after coming off stage at Madrid’s Teatro Lara on November 9, reported Spanish newspaper El Mundo. Allen Toussaint was found in his hotel and resuscitated – but suffered a second heart attack en route to hospital. He worked with some of music’s biggest stars – including Paul McCartney, Irma Thomas, Aaron Neville, Joe Cocker, Glen Campbell and Elvis Costello. Allen Toussaint was born in 1938 in the working class neighborhood of Gert Town, New Orleans. He began learning piano at the age of seven, influenced by the likes of Huey “Piano” Smith and Ray Charles, and got his big break when he was asked to fill in for an absent Fats Domino at a recording session. In 1960, Allen Toussaint was hired by Joe Banashak’s Minit record label and masterminded many of the company’s biggest hits – including Irma Thomas’s Ruler of My Heart (later recorded by Otis Redding as Pain in My Heart) and Benny Spellman’s Lipstick Traces (On A Cigarette). Drafted by the military in 1963, he continued to make music on service leave, but scored his biggest hits after his discharge in 1965. Allen Toussaint’s most successful collaborations were with singer Lee Dorsey, who recorded Toussaint’s compositions Ride Your Pony, Get Out of My Life Woman, Working in a Coalmine and Everything I Do Gon’ Be Funky. Many of his songs became famous through cover versions, with the likes of The Who, The Rolling Stones, Robert Plant, Bo Diddley and The Doors re-interpreting his songs. Allen Toussaint was inducted into the Rock and Roll Hall of Fame in 1998. The citation said his greatest contribution “was in not allowing [New Orelans] old-school R&B traditions to die out but by keeping pace with developments in the rapidly evolving worlds of soul and funk”. In 2013, he was presented with America’s National Medal of Arts, the highest honor given to an American artist. 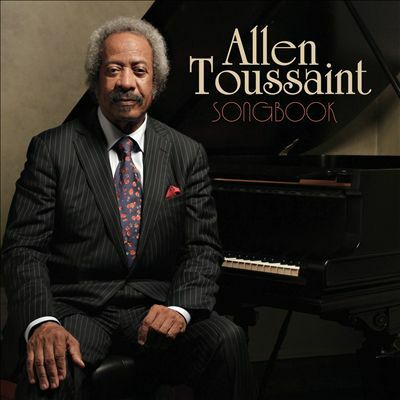 Allen Toussaint is survived by his two children, including his son Clarence, known as Reginald, and his daughter, Alison, both of whom managed his career in recent years.